Four years ago today, on 29 February 2012, the Raspberry Pi Foundation launched the original Raspberry Pi. Conceived as an ultra-cheap way to encourage kids to code as they had back in the 1980s and 90s, the uncased credit card sized computer quickly found an appreciative audience outside of the education system, with over a million Pis sold in the first year alone. Since then the firm has released several new versions, including the Raspberry Pi 2 (launched a year ago), and most recently the ultra-elusive $5 Raspberry Pi Zero. Today, to celebrate the Pi’s 4th birthday, a new member joins the family. The Raspberry Pi 3 Model B is significantly more powerful than its predecessors and yet is priced at just $35, the same price as the Raspberry Pi 2. The new board is powered by a 1.2GHz 64-bit Quad-Core ARM Cortex-A53 processor, which makes it 10x faster than the first generation Raspberry Pi. It includes wireless LAN & Bluetooth connectivity too, making it perfect for powerful connected projects. 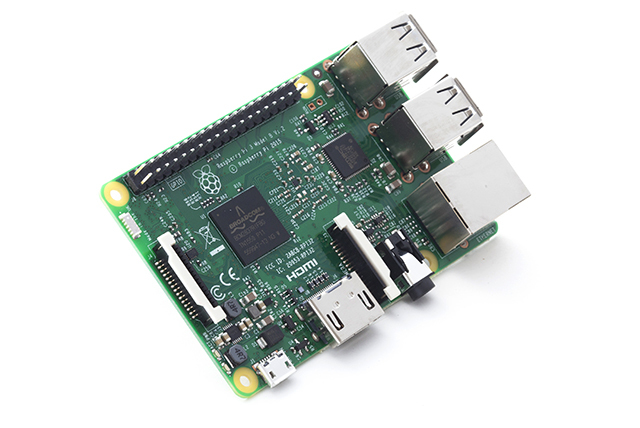 The Raspberry Pi Foundation recommends using a 2.5A adapter if you want to connect power-hungry USB devices to the new Pi, although the board can still be run from a 5V micro-USB power adapter. The new board is available to buy from today from all of the usual Pi suppliers including element14 and RS Components. Hopefully, with its more expensive price tag (if you can call $35 expensive), the Raspberry Pi 3 will be easier to buy than the Pi Zero. The Raspberry Pi Foundation will continue to make and sell the Raspberry Pi 1 Model B+ ($25) and Raspberry Pi 2 Model B ($35) alongside the new board, as well as the Model A+ ($20). A Raspberry Pi 3 Model A will be launched later in the year.